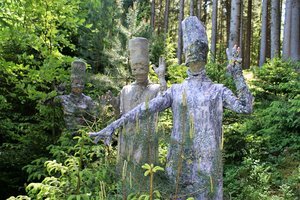 On Saturday, June 25th and Sunday, June 26th 2016, BBT SE, the city of Innsbruck and the Tyrolean Saga and Fable Festival invite you to the formal ceremony for the opening of the revitalized Tantegert wooded march area. Several months of hard work were needed to complete most of the re-naturalization measures. Further long-term activities, to be carried out by the Innsbruck Forestry Dept., will be required. 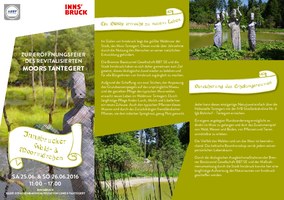 Since this natural paradise with its bridge and paths will now be open to the public, BBT SE and the city of Innsbruck are organizing a legend- and story-telling festival. At six different points, children will meet woodland creatures and discover interesting things about the marsh and the forest. Tours will start every fifteen minutes between 11 AM and 5 PM. 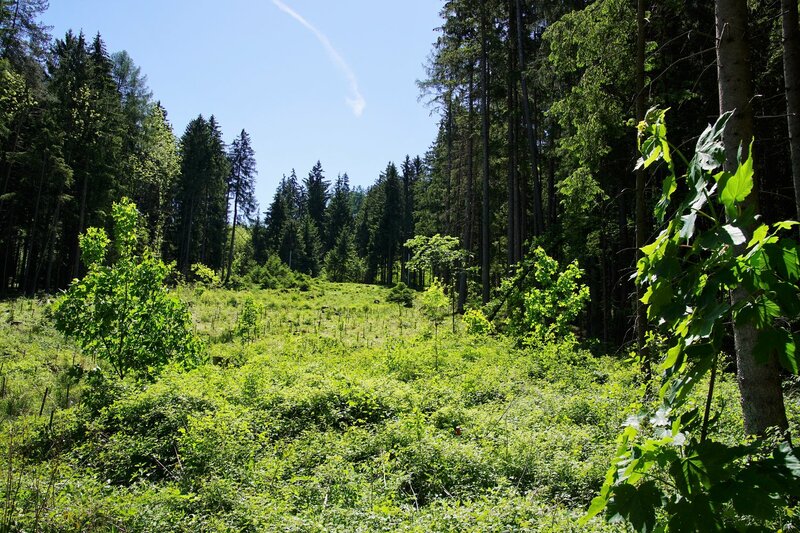 BBT SE and the city of Innsbruck made it their common goal to revitalize this environmental and make it available to all the inhabitants of Innsbruck. By building two ponds, adjusting the level of the water table to the original level and carefully introducing the appropriate vegetation for a marshy wooded area, over the past few months the Tantegert wooded marsh received a new lease on life, thus providing a new home for amphibians, salamanders and dragonflies. The typical marsh vegetation has also returned, since the knotweed was cut back. The environmental compensation measures implemented by BBT SE and the measures set by the Innsbruck Forestry Dept. have brought about a long-term upgrade and improvement of the natural environment around Innsbruck.